So sorry I didn't get a post up yesterday!! I have tried very hard to get a post up every other day, but it was my last full day with my girl before she left...and life trumped blog. BUT, I finished another Advanced Reader Copy from Netgalley, and couldn't wait to get a review up! 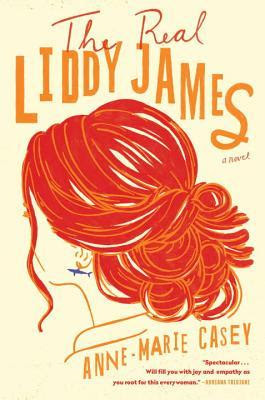 The book is called The Real Liddy James by Anne-Marie Casey. I really got a kick out of this one. The book centers on Liddy James, a 40+ superwoman. This gal is living the life as a top New York divorce attorney, regularly sought after for news segments and magazine articles. She has published best-sellers, and has another book in the works. She is fit and fine, in her designer capsule wardrobe (because who has time to pick out clothes in the morning)...with twice weekly blowouts. She lives in a beautiful loft apartment that she designed from top to bottom. OH, and she has two kids...and regularly gives advice to working moms on keeping it all together. Of course, she shares custody of one child with her ex and his new lady...but even that appears to be perfect. Or is it? Life comes crashing down on her when the new wife's pregnancy results in the teen moving back in with her...the nanny leaves town...she can't afford the repairs on her fancy loft's leaking roof...and the stress of keeping it all together results in a meltdown of epic proportions. How is Liddy going to get her life back together again?? I really and truly enjoyed the hell out of this book. I find the older I get, the more I like a book centered around someone the same age as me. Now, I can't quite relate to a NYC wealthy attorney, but I can relate to a mom trying to do her best for everyone. Liddy is very focused on keeping her life "perfect"...even if it involves nightly ambien/wine bombs to get some sleep. Don't get me wrong, this isn't a depressing or sad book by any means. It is really a fun read. You will laugh at some of the stuff that happens. But I can think of a million book club discussions that could be had after reading this. And I'm not even talking working mom/stay at home mom stuff. More...have you turned your back on your family's heritage? How important is other peoples perceptions of you and your life? 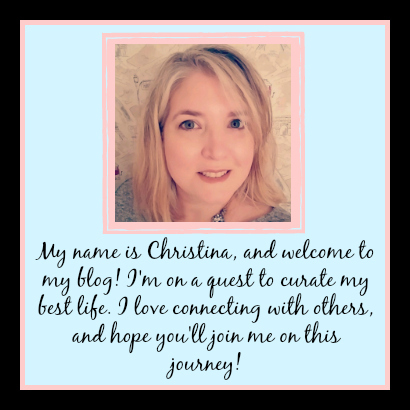 Is it possible to "have it all"? Is there such a thing as a "good divorce"? What are your thoughts on social media culture...where every mistake made can be replayed over and over again on Youtube? These are just a few of the serious discussions that could come out of this fun book. Not a huge book, but definitely full of fodder. I think you would enjoy this if you're a woman. I also think you'd enjoy it if you're a mom. You might REALLY enjoy it if you're over 40. And definitely a good book club pick. Not so long that people will boycott...and an easy read for people who aren't heavy readers. I think it deserves to be on your to-read pile once it comes out in September.